In today’s climate of ever-changing health care coverage’s, it can be nerve-wracking to have to select a new physician. Perhaps this is why Consumer Reports states that “choosing a doctor is one of the most important things you will do in your life.” Whether the doctor you need is a primary care physician, orthopedic surgeon or other specialist, these helpful guidelines can help you find the right fit with a minimum of research. It is awfully hard to find the right physician fit if you are not sure what you are looking for. So start by making a list. What did you like or dislike about doctors you have seen in the past? What are your health care needs? Use this list for guidance as you outline your criteria for a new doctor. Gender. Some people do not care about a doctor’s gender and other people do. If gender is a factor for you, be sure to note it down. Age. Age can be a factor in everything from methodology used to bedside manner. If you have found you prefer an older or younger doctor, be sure to note down this preference. Credentials. If you want to see a physician who has been trained in a certain specialization (for instance, if you need a certain type of orthopedic surgical procedure) you will want to check the physician’s credentials before making your first appointment. Insurance. Most new patients have some insurance criteria to meet in selecting a new doctor. If applicable, you will need to find a physician who will accept the insurance you have. Location. You may find it more convenient to see a physician who is located near where you live or work. Once you have your basic criteria in mind, today’s online culture has made it increasingly easy to put out a request to your network for help. Now all you need to do to generate a referral to a new doctor is to send out an email or post a query on one of your social networks. If you have special requests, such as a female or male doctor or a certain type of specialization, posting those additional specifics can narrow down your search quickly. Often seeing a new doctor can bring on some anxiety. This is normal. So be sure to note down all your questions in advance and bring them with you. If you tend to get nervous you might also want to bring a more objective friend or partner with you to your first appointment. It can also be helpful to be aware that, even though you are seeing the doctor for medical reasons, ultimately you also need to be comfortable with how the doctor interacts with you. 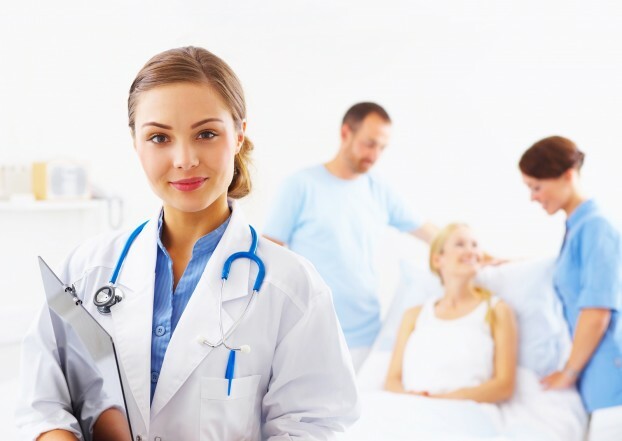 With these guidelines, you can feel more confident and capable as you begin the process of selecting a new doctor to attend to your wellness, medical and health needs. About the Author: Carolyn Harvey moves frequently for her career. She uses these tips to select a new doctor whenever she moves to a new city. Previous story What Kind Of Property Can You Keep If You File For Chapter 7 Bankruptcy?